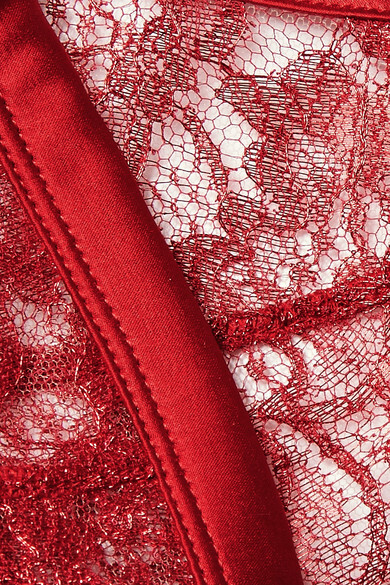 Named after the Roman goddess of love, Coco de Mer's 'Venus' bra is made from red stretch-Leavers lace flecked with shimmering metallic threads. It has soft triangle cups and a smooth satin underband for light support. Wear yours with the matching thong and suspender belt.